As we were leaving the dinosaur presentation (speaker Dr. Phil Manning – Manchester University), which took place last Tuesday, part of the excellent Bollington Festival, we were approached by a young dinosaur fan with a question. We were asked by the keen, junior palaeontologist, what sort of dinosaur the “dinosaur mummy” discussed by Dr. Manning in the presentation was. That was a very good question, not the sort of thing we are used to answering in a car park but we were able to provide some information on this particular dinosaur as we have read quite a lot about it and indeed, written a couple of blog articles. The fossil is of a member of the Hadrosauridae (duck-billed dinosaur), specifically a Edmontosaurus. When the specimen was first discovered, the scientists were unsure as to what the genus was but during the excavation and preparation it was confirmed that the dinosaur specimen nick-named “Dakota” was an Edmontosaurus. This particular Hadrosaur was formerly named and described by the famous Canadian palaeontologist Lawrence Lambe in 1917. It was one of the largest type of flat-headed Hadrosaur, perhaps one of the largest of all the duck-billed dinosaurs. 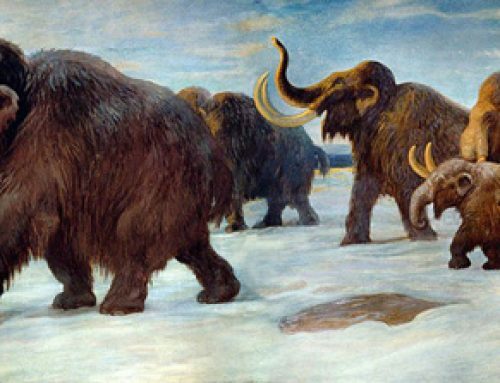 It has been estimated that fully grown adults would have been 13 metres in length and weighed perhaps as much as 4 Tonnes.